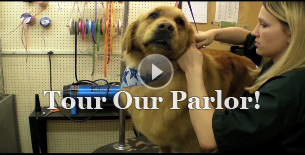 Peaches' Parlor - Groomers Are Best At What They Like To Do: Groom! Answering the phone, booking appointments, receiving/sending-out pets, servicing customers, cleaning up ‘messes’, maintenance of equipment, cleaning and sanitizing the facility, payments and whatever else it takes for satisfying you. 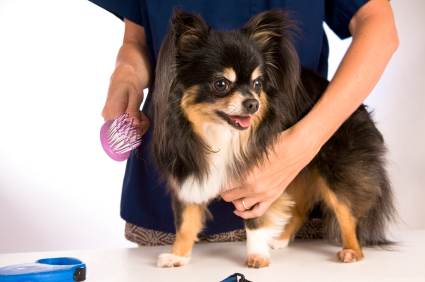 This allows the groomer to focus on the animals they’re working with resulting in a grooming that they’re proud of and you and your pet are happy with. Upon your request, our groomers are available to meet with you to review any directions or questions regarding your pet that you would like to discuss directly with them.